London has a long and glorious history, over years and years it has transformed itself time and time again and quite literally has rebuilt itself many times over. The city that we see today is only the surface. 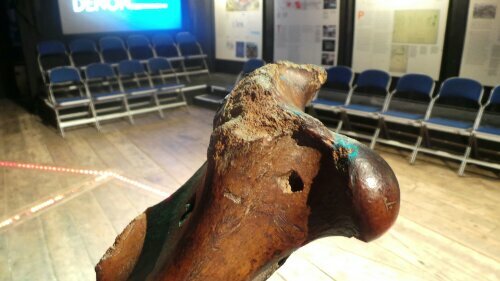 The top layer of a rich and varied history lasting from pre-Roman to modern day. Underneath the surface, the city has secrets. Many of which have yet to be discovered but plenty have already been found. Underneath buildings and roads exist some real gems. 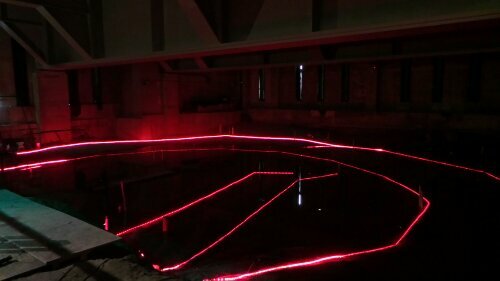 Often discovered during building and demolition projects they are now hidden underneath the surface of the city. This post will look at 5 of the top hidden historical wonders of London. All are still there just hidden from site but still accessible if you try hard enough. 1. 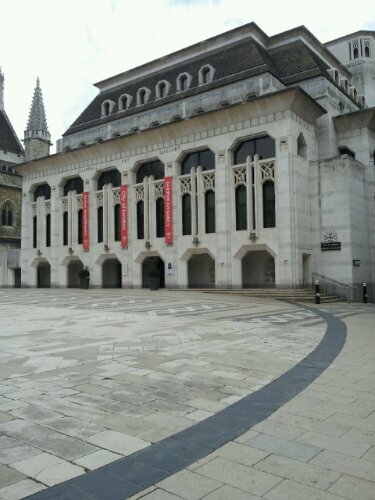 The Roman Ampitheatre under the Guildhall London grew up as a Roman City. Founded around the River Walbrook the Romans developed the city as a key trading post, they built a fort and a city wall the remains of both can still be seen. The absence of an ampitheatre had always confused historians who were convinced that a Roman City such as London should have really had one. Now the remains of the original ampitheatre can be seen underneath the Guidlhall Art Gallery and it’s outline has been marked out on the surface. It’s quite impressive and gives an idea as to it’s size and scale confirming that Londinium was no rural backwater. The futuristic re-interpretation of people participating in the sort of activities within the ampi-theatre has been created. 2. Shakespeare’s Rose Theatre. Uncovered during excavations in 1989, the Rose Theatre was the first on the Bankside and hosted plays from Shakespeare and Marlowe. The great Elizabethan Actor Edward Alleyn would have trod it’s boards and it remains the only theatre from this great era of playwrights which the public can see and get a feeling for what these theatres would have been like back then. Operated by volunteers it is only open on a Saturday and is free. Visitors are shown a documentary video and given a talk by one of the passionate volunteers. 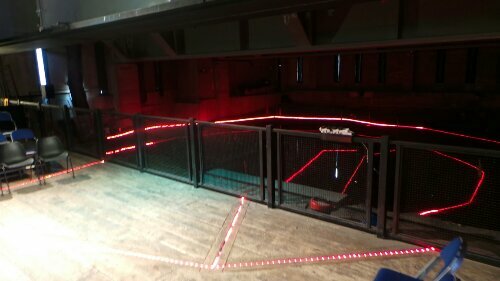 The outline of the theatre can be seen in red lights on the ground but the actual archaelogy is preserved under a protective layer and not visible. The Rose Theatre Trust has ambitions to reveal the theatre once more but it will be expensive as the remains are fragile, need to be kept moist and are likely to disintegrate once exposed to air. The preservation will be tricky but considering it’s incredible importance in the history of theatre, would be very welcome indeed. 3. 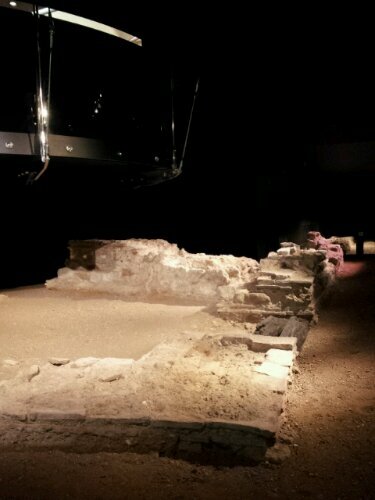 The Western Gate of the old London City Fort underneath a car park. The car park which runs a good portion of the road confusingly known as ‘London Wall’ can be accessed from an entrance close to the Museum of London opposite an old but visible section of the old Roman Fort. Mainly an administrative centre the fort pre-dated the wall and bits of it still survive nearby in the Barber Surgeons Gardens and on Noble Street. The Western Gate of the fort however is locked away in an annex to the entrance to the London Wall underground car park. Admittance is managed by the Museum of London and they arrange tours every month to see the remains of what would have been the main entrance into the fort which would then have allowed access into the city. Further along the car park as an added bonus is another section of the Roman Wall itself which post-dates the fort. Walk to the end of the car park and just by the exit it suddenly appears. A glorious section of ancient history in-between the parking bays. 4. The Billingsgate Roman Bathhouse. Can be found underneath an uninspiring office block at 101 Lower Thames Street. It is unfortunately rarely accessible but occasionally on the odd day throughout the year the Museum of London will open it up for visitors. Back in Roman times it would have sat just up from the Thames with a lot of the bank having been reclaimed in later years. 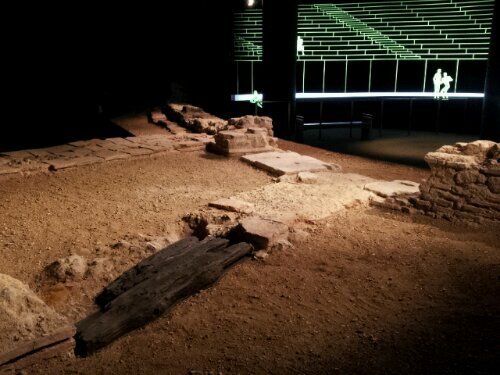 It remains one of the best preserved examples of a Roman building in the city and has the remains of walls, foundations and the underfloor heating system. The thought is that it would have, at one time, been attached to a Roman Townhouse. It’s location just inside the city walls and near to the Thames would have made it reasonably prominent. 5. The Roman Floor in All Hallows by the Tower. Just up the road from the Billingsgate Bathouse is the ancient church of All Hallows by the Tower. Itself a truly fascinating place to visit it is often overlooked because of it’s proximity to the Tower of London and Tower Bridge. It can boast the distinction of been the oldest church in London. In the crypt of the church is a little gem of a museum in which some of the original tressellated flooring can seen, discovered in 1926 and remarkably intact. The church houses many other wonders too, has strong links with early America and is a great place to wander round. The tressellated floor is one of the best preserved in London. 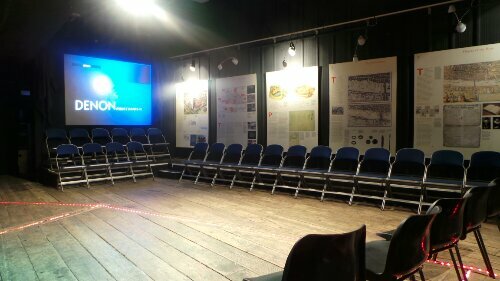 London Unveiled – The Rose Theatre where Henry VI and Faustus were first performed. Despite having lived in London for 30 years I wasn’t aware of some of these historic remains. 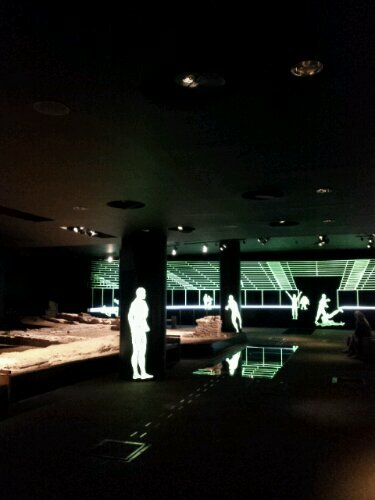 The Roman Ampitheatre, below the Guildhall art gallery is particularly worth checking out. This gives the best impression of how ordinary Roman people used to entertain themselves around 1,700 years ago. Incidentally, the photos are excellent.